Epiphone presents the new Masterbilt® MM-40L Mandolin, a classic f-style mandolin with an oval sound hole created in the spirit of the first generation of Epiphone Masterbilt mandolins. Featuring a Solid Spruce top, Solid Maple body, Grover® machine heads, and a traditional Masterbilt headstock in a beautiful aged gloss Vintage Sunburst finish. The Epiphone Masterbilt Collection was first launched in the early 1930s around the time Epiphone opened its legendary factory and showroom in downtown Manhattan. The showroom drew the very best jazz players of the day including a young Les Paul. 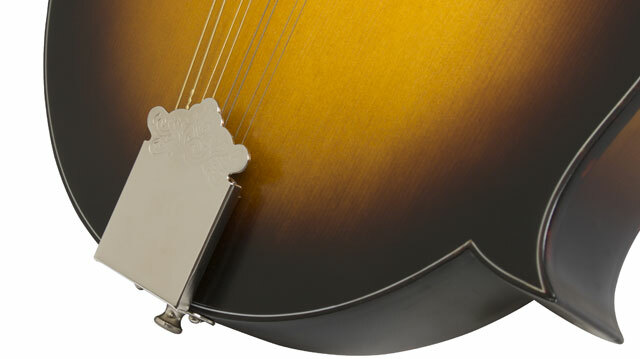 Today, the Epiphone Masterbilt Collection uses those same construction techniques and materials including solid wood tops and traditional bracing. The Masterbilt® MM-40L Mandolin is an F-style mandolin, a design that first came to prominence in the early 20s and quickly became a standard known for its incredible volume, punch, and tonal range. 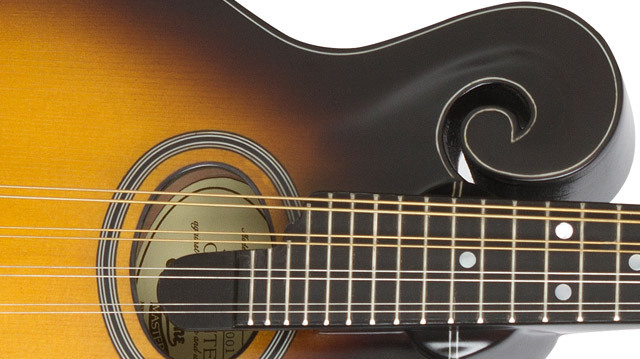 The new MM-40L features a Solid Spruce top that will “open up” with age and playing time, which will enhance the tone of the instrument even more. 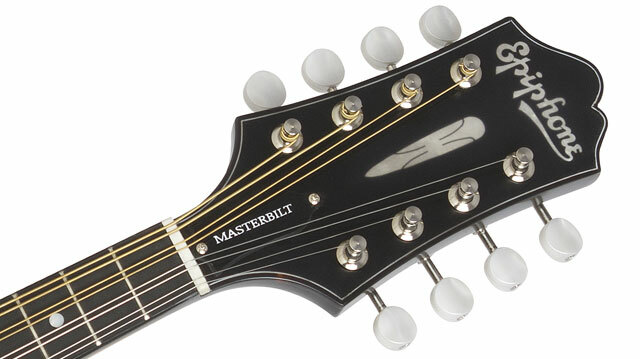 The headstock has a 30s era Masterbilt design with the first generation “Epiphone” logo and Grover® 3-in-line tuners with Pearloid buttons. 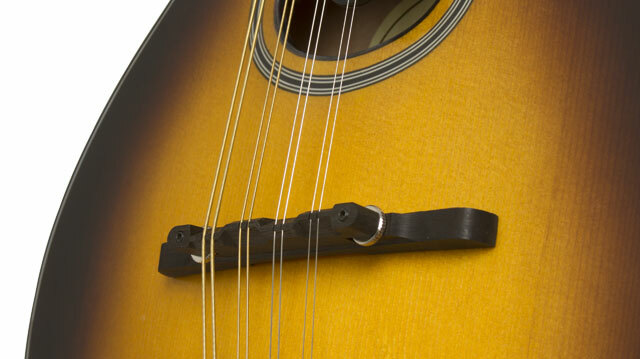 The floating bridge can be easily adjusted and the traditional clamshell tailpiece has a 30s era scroll design. The MM-40L is finished in Aged Gloss Vintage Sunburst with single layer tortoise-style binding on the body top, around the traditional f-style body scroll, and the classic Epiphone headstock. An optional hard case is available. Like all Epiphones, the Masterbilt® MM-40L comes with a limited lifetime warranty and world famous Gibson 24/7/365 Customer Service. Every collection deserves a Masterbilt instrument. Try one today at your nearest Authorized Epiphone Dealer and visit Epiphone.com to discover the entire Epiphone Masterbilt Collection.